Next morning, Bobbie finds a message on her bathroom mirror – five days – but what does it mean? And who left it there? Things get increasingly weird and more terrifying for Bobbie and Naya, until it becomes all too clear that Bloody Mary was indeed called from the afterlife that night, and she is definitely not a friendly ghost. 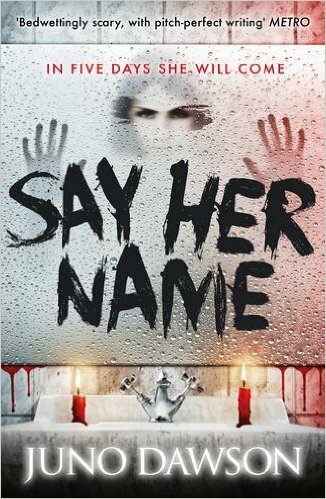 Bobbie, Naya and Caine are now in a race against time before their five days are up and Mary comes for them, as she has come for countless others before… A truly spine-chilling yet witty horror from shortlisted ‘Queen of Teen’ author James Dawson. This book is truly gripping and incredibly popular with young adults who like their scare to have a bit of wit and verve thrown in.